Union Bank of India will release the admit card for Specialist Cadre officer in the last week of April 2019. 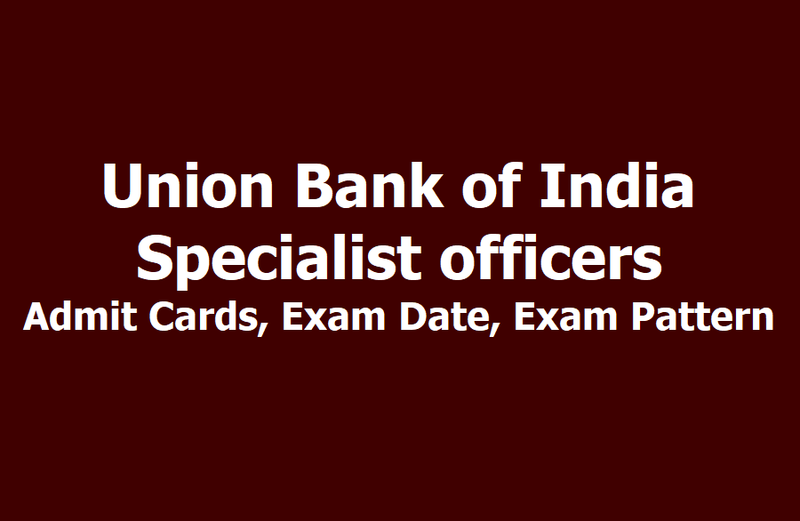 Union Bank of India will release the admit card of online examination for the post of Specialist Cadre Officer in the last week of April 2019. Candidates who have applied for the post would be able to download their Union Bank SO Call letter, once released, from the official website unionbankofindia.co.in. English Language (25 Marks) subjects. Total Duration of examination will be of 120 minutes. There will be negative marking for each wing answer. Candidates will be required to provide their login credentials-- Registration No and Password/DOB along with Captcha for verification in order to download the Union Bank SO Call Letter 2019. Step 6: Download your Admit card and Take print.